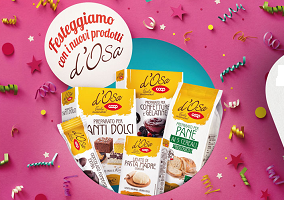 Leading Italian supermarket Coop has launched D’Osa, a new private-label line entirely dedicated to home cooking, as part of its 70th anniversary celebrations. The new range is advertised as being made with 100% raw and organic Italian ingredients, with low salt content and no artificial sweeteners, colours or thickeners. Comprising 37 items in total, ranging from baking mixes to desserts, sweet and savoury pastries, flour and other baking aids, D’Osa is marketed as allowing ordinary people to become home chefs and prepare creative recipes quickly and easily. 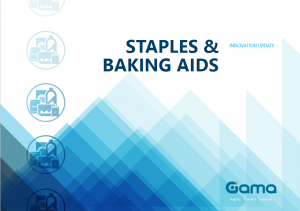 In a statement, Coop Italia said that its aim was to respond to growing consumer demand for home baking products through “a complete range of mixes, yeast, baking starch, decorations and other ingredients that will make preparing fabulous recipes easier and more rewarding”. The intention is reportedly to extend the range to an eventual 55 products, primarily comprising desserts and flour mixes.